To begin today's post I decided to start by teaching you a little bit about Goth. Since I don't know much about Goth myself, I had to look it up. I found it interesting to read about Goth fashion, and makeup looks. I hope you enjoy reading about Goth as much as I did! Now that you know a bit more about the Goth subculture, it is now time for me to show you some of the outfits I created on my doll. Since Goth isn't my style this was a challenge for me. I ended up putting my own (girly) spin on some of the looks. 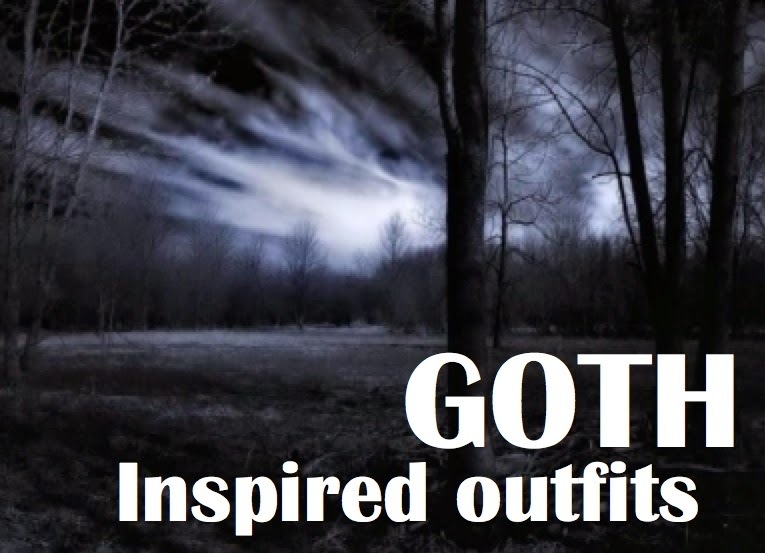 I had so much fun exploring the Goth look, and creating my own Goth inspired outfits. Now, I know they are a bit more girly then what some of you may define Goth as but these looks are just my personal spin on the tradition Goth look. Making these outfits made me fall in love with the way black lips look on, I think my doll will be rocking the black lips for now on.